SUVA, Fiji, Dec 5 2017 (IPS) - A cursory glance at international funding of the social sector in India reveals that it has grown at over 25% annually over the past three years. This might seem at odds with the headlines describing the wholesale withdrawal of licences to receive foreign funds from thousands of NGOs, the heightened scrutiny that major international donor organisations are being subjected to as part of the infamous FCRA watchlist, and the legal travails of Greenpeace and Ford Foundation among others. While aggregate totals of funds for the social sector, international and domestic, are clearly growing robustly, it is equally clear that their composition and intent have changed significantly. Resources from technocratically minded donors seeking tangible, measurable impact within a relatively short time horizon are no substitute for the support of those willing to partner unpopular and underserved causes, issues of human rights and social justice, and to invest in building the long-term sustainability of institutions or in strengthening the civil society ecosystem. For activists on the frontlines of protecting these freedoms, the response from organised civil society, domestic philanthropy and the media has been way too little, way too late. The ruthlessness and persistence of authorities who have been willing to subvert laws and institutions to exact retribution on anyone who dissents from the laudatory official line, the lack of solidarity especially from the middle class and the media, the silence and complicity of business leaders, and the timidity of most Indian philanthropists has facilitated the intimidation, harassment, even murder, of human rights defenders, activists across domains, journalists, rationalists and minorities. A judge too, if recent allegations are proven. As in too many other countries, the confluence of majoritarian, nationalist populism with the unrelenting erosion of institutional protections, demonisation of minorities, activists and critical journalists, and systematic amplification of fears of terrorism, violent crime and cultural ‘erosion’ provide cover for a creeping destruction of democratic institutions and constitutional freedoms. From universities to media houses, businesses to Bollywood, the word is out. Deviating from, or criticising the powers that be is increasingly hazardous to life, liberty, health and wealth in India. As citizens scramble just to breathe, access basic public services or simply get to school or work and back home safely, the outrage factory churns out an unending flow of ‘controversies’ to occupy minds and ‘inform’ debate. In a version of the boiling frog syndrome, each step towards outright authoritarianism raises the temperature just enough to cause discomfort without inciting drastic action. The fact that the big, new source of funding in India is the corporate philanthropy prescribed by the Companies Act exacerbates the chilling effect by dis-incentivising any criticism of business, whether general or particular. NGOs seeking CSR funding must constrain themselves to activities and issues that are at least uncontroversial, if not primarily geared toward corporate reputation management. Giving by Indian foundations and high net worth individuals is also burgeoning. Most, though not all, this ‘new’ philanthropy is technocratically minded, reflecting the culture of the information technology, finance and other sectors in which the wealth that fuels it was garnered. It too, mainly seeks safe, apolitical, measurable impact areas, and prizes close collaboration with government to either supplement, substitute or innovate the delivery of public services. Little support has been forthcoming from mainstream Indian media which has, with rare exceptions, chosen to toe the lines of corporate owners, advertisers or the government. Civil society voices in the national media are few and coverage of the crackdown has largely been limited to disseminating, unchallenged, the government line. Legal redress has proven more effective, for those who have had the stomach to take that route. It is, however, limited to the few organisations that can find the bandwidth, resources and courage to pursue the long, arduous route through the legal system. And prevailing in court is not sufficient to restore either incomes or reputation. Civil society resistance to the onslaught has been limited, sporadic and lacking solidarity. Responses have ranged from denial to defeatism, leaving both outspoken activists and the voices of the marginalised, isolated and vulnerable. A steady drip of disinformation, painting civil society as unaccountable, ineffective, corrupt and possibly anti-national has gone largely uncontested, alienating the middle-class constituency that might provide both material and political succor. Where then, might a way forward be found? A small but growing number of civil society groups has begun to coalesce around core beliefs and values of constitutionalism, democracy, pluralism and justice offering solidarity with activists under threat and seeking to collaborate in new ways. A few philanthropists too are willing to support these efforts including support for initiatives in the areas of governance, independent media, strengthening the ecosystem and amplifying marginalised voices. More, much more, is necessary. “NGOs need to scale up; build second line leaderships; specialise; focus on systemic change rather than immediate vulnerabilities; engage and confront sagely; collaborate more closely; increase the footprint and relevance for ideas that support civil liberties democracy and rule of law through mass outreach; and rely on objective facts rather than ideology to make the public argument”, says Maja Daruwala, an erstwhile Board member of CIVICUS and, till recently, the Director of the Commonwealth Human Rights Initiative. Framing and disseminating a counter-narrative is critical. Communicating the size, impact, value, diversity and innovation of civil society could help recover lost ground and build new constituencies among young Indians and new entrants to the middle class. Particular focus is necessary on adopting and communicating norms for accountability, transparency and governance. Facilitating these will require new channels of dialogue across barriers of ideology and thematic focus. Investing in outreach, convening, capacity building and technology to strengthen domestic giving, especially from the Indian public, requires greater support from domestic philanthropy. More vitally, transcending the mind-sets and attitudes of mutual suspicion, hostility, competitiveness and disdain will require shared diagnosis of threats, opportunities and responsibilities. International solidarity, while necessary, can be detrimental when it reinforces the notion that dissent emanates mainly from those whose interests are antithetical to India’s national interests and largely funded from abroad. Solidarity, supporting convening across silos and facilitating the exchange of ideas and strategies from diverse contexts may be some areas where international donors could be helpful. So too would ensuring support, financial and non-financial, to the groups who are most marginalised in today’s Indian context. Forging connections with like-minded Indian philanthropists, business leaders, journalists and civil society groups is another key contribution international donors could make. 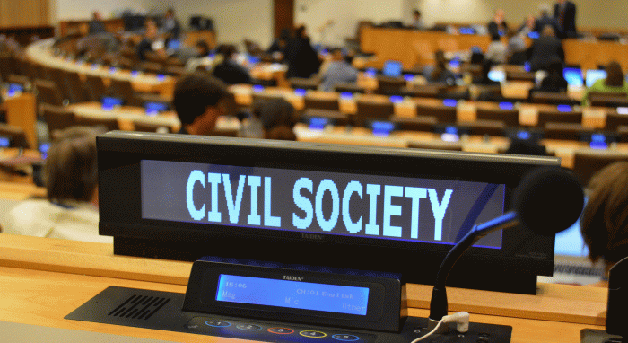 Persuading their own governments to uphold international norms and laws and to pursue values-based global standards in finance, banking, trade, climate and human rights are as necessary as is ensuring that the right of Indian civil society organisations to access international resources Is protected. India’s democracy and its civil society are resourceful and resilient. They have coped with threats of similar magnitude in the past, most notably during the infamous Emergency of the mid 1970s. Both, the champions of these values and their opponents, are now armed with greater reach, more sophisticated tools and broader networks that ever before. One side has greater access to money, political clout and fewer inhibitions to violence. The eventual outcomes of this struggle between the forces of control and those of freedom are far from decided. We must each play our part in determining them. * The views expressed in the article are personal and do not reflect those of the university or any other institution she is affiliated with.